As an angel and an empath I have extreme sensitivity to artificial intelligence. Recently I had to decrease my use of time on the Internet and on my cell phone. This had everybody very upset because they were not able to get in touch with me. I can’t help it, if I’m sensitive and I get sick, Then what can I do except try to protect myself? However, some of my work is based on line. So I do need to have some kind of way to communicate with my students, clients for readings, and friends too. But I couldn’t figure out a solution, until recently. Archangel Michael helped me work through this problem as I sat, very sick over my laptop throughout the one week that I had to actually spend a lot of time on it. I had just launched a new website, so I used much of my time having to build the website first. It was just awful. I was drained, slumped over and feeling very sickly. I could not keep myself up from the drains for the artificial intelligence have been creating. Any kind of energy at extreme degrees, will cause that same affect. Even channeling spirits. There are a lot of times when I channel a lot and a day for people and I just totally get extremely overwhelmed. I don’t think anybody in this world lives as an extreme channel like I do. It can be pretty horrific to witness, and often upsets my children to find me in conditions like that. I never used any of my own protection grids, only because I didn’t want anything to interfere with my channels. Not that it actually would, I just didn’t wanna take the risk. Archangel Michael just recently helped me though. He helped me to create a protection shield of energy, that will deflect the energy of the artificial intelligence. He says that he still wants me to stay away from the Internet and devices as much as I possibly can. However, this will help me when I absolutely have to use them. So I tried it out. And it really deflected a lot of the energy that was coming off of land lines, So phones, laptops, television, and even electrical outlets because all of those emails a radiation of EMF. It’s absolutely awful. 1. Shield – you’re going to want to get the Archangel Michael EMF protection. It creates a significant bubble of energy that is very pure and deflects any heavier radiation in the area, that may come toward you into your aura. The aura channels energy from the environment into your chakras, which then affects the body and can create cancer and illness. Having this shield will definitely help you no matter where you go, just stay safe. There are cell phone towers everywhere. Ask yourself? How many times have you been out and about and suddenly felt drained without knowing why? It could be from the energy coming off of other people and their aura, or cell phone towers and other electromagnetic producers. 2. Stop using your cell phone – of course you’re going to want to use it. There’s no escaping it not in this day and age. However, limit your use of calls on it. Text instead if you have to, but for main calls, you can forward them to your landline, and then just to sit some distance from the landline with your phone on speaker.That will help a great deal. 3. Out stretch- If you have to go on the Internet on your phone, try stretching out your arm about an arms legs out in front of you, to read and look at things. And just lean over and tap the screen, when you have to touch it to make selections. Holding the device a little bit further away from your actual body can make a little bit of a difference although not much. But it does help. 4. They also have body shields that you can use, although they are not very hopeful, they can reduce radiation quite a bit, if use the right way. But I think you should save your money and just get the Archangel Michael protection instead. It’s permanent, you don’t have to worry about putting it back on or taking it off. Whatever they do help quite a bit, and you will find some relief that way. I have one myself, just in case. Well that is how to manage your electromagnetic energy and it’s detrimental effects on you, from using devices and walking around in electromagnetic field of energy created by wireless energy and many other forms of artificial intelligence. There will be a massive death, and an experiment with the use of martial law that will come to be used in a much better way later on. The power of duality who is often misunderstood or overlooked. Everything must come in balance. For every thing is, was, and always will be. In actuality, in this particular reality, humans make their very own rules and regulations. As I’ve said before, they once believed that the Earth was the center of the universe. To those of us who know the truth, there is no mystery. For those who don’t? There is still a question. Many people do not understand, that everything around you is a manifestation of some higher power’s, will and desire. But at some point later on, that higher power’s very own imagined creation, rebelled against it! Man thought that it was in his own right, to lead himself. And now look at the world around us. In the beginning, this world was created by visitors who walked into our reality. Imagine if you were playing Minecraft or Sims3? The character that you are playing suddenly turns around and starts talking to you? The avatar tells you that they are going to do whatever they want there, and that they will also lead the people who are “programmed” residents in that virtual reality. Yes, pretty much like that. However, if you take a look at what’s really going on, theres something even deeper beyond the surface. Deeper than I have ever explained before. I am going to save that information for another time. But let us talk about balance, since we are working on this subject and it goes quite extensively. It has a lot to do with the reality that we are in, and also your existence. Many people do not realize that balance is required, for learning. But our reality is disharmonic in it’s balance. Overexcessive on both sides. Many people ask why God has left the world this way? Or why God does not step in and do something? In actuality, the only people that can put an end to it, is the human race, or the consciousness of this planet itself. But really, they all feed off of each other. The earth needs the people, and their energies, as the energy cycles from up and down. Sort of like how plants absorb sun and water to make chlorophyll. Well, human beings absolutely need to have the energy from the sun and the crust of the earth, just as the earth needs that energy to be cycled into waste. This is to fertilize that very same crust that absorbs the sun. We all work together, as we all see the reality and experience it. The higher powers used to care for this, with man on the surface running things according to the divine will. However, man took over rulership and built technology, and other things that destroy the face of the Earth. How could this have happened? Now man will reap what he has sown. The new age approaches and some will remain here to be yet again another sleeping slave, and others with the holy spirit will ascend into a newer state of heaven. The rule of man continues until its last day, why be under that rulership of struggle and injustice when you can ascend into paradise? In all of my existence, through out my Past lives, and here in my present experience using this avatar, my one and only true love has always remained steadfast and true. It is constant. Even when the world creates huge canyons in the path of life, it never shifts or alters. There is, within me, a true love that maybe I will never find enough words in any of the mundane worlds that can express it. In this reality, somewhere stationed between 2D and 3D, on only one single branch of the Tree of Life according to its host, I am not afraid to proclaim it loudly. Yes, reader, I hear your thoughts.. And you are right. The true love of life, of my entire existence, is the Creator. It is my entire world. Even if Circumstances for me were different, and I was not a spiritual teacher. But, I am. Among the many gifts that God has given to me during my time here on Earth, it is this sentimental, humbling, and sacred gift of getting to share it with others. My heart is at one with my mind. And my mind.. it is at one with my heart. They are one in the same. If they weren’t, I would not have the amount of wisdom that I do… Like a united set of twin flames who are no longer two but instead are one. My love comes from that exact same place where the two worlds of thoughts and emotion come to meet. They do not only just meet though. They are permenantly intertwined, in perfect understanding. Complimenting one another. My mind and heart are partners who eternally work together for one totality of a purpose . Part of that purpose has brought me here, to teach the pathway that love in the same light, can build something truly epic that will show answers to questions that you do not even have yet. A new life. Many will pass it up easily and swiftly, without wonder or a second thought. For others, they’ll just be curious. Then, only a small select few…the souls that have the true “calling”, will hear it. It’s like a distant whisper, in an unknown place within. I can hear it within them, singing softly as I listen. It is fainter than mine, but when it is found, it will become the song of their life. It is the song of my life. This love of mine. it is the true wisdom of my existence, the message of my being. In this world there are many pathways of connecting with the spirit. Many of them will be pathways that lead to the same finale. Some of them will lead others to empty doors. And while I speak the message of my heart through teaching of Science, True parts of the Occult, fragments of pieces that fit together from religions, and what I myself know… in my soul’s knowing and remembrance … I will not pretend that I am some guru, even if it’s all the hype. I do not care. I will not classify myself as many are tempted to do. I will not forsake my first love. And that is why I am proud to proclaim it. I love God. My entire language is the vocabulary of his way and wisdom. And everything that I think, say, and do… It comes from him. There are so many who are quick to deny their belief or love for him, because they’re trying to go along with the rest of the world. But the rest of the world is falling away. And they don’t realize that they too, will go with it. One of the top questions that I get from all of those who come to find me, is one that I’m sure almost everyone in the world has wondered at some point in time. Whether in their past lifetimes, or in this one. Nonetheless, this one question is much like a dehydrated person who is searching for even just one a drop of water, in a huge dry desert. And, till now, not many answers “could quench that thirst”. The question always starts the same: “Alura, what does heaven look like? After that, it usually follows with other questions like: “As an angelic being, why would leave that, to come…here”? Another famous question that I get is: ” If you were a real angel, why can’t you have God give you riches?” I never get tired of answering them. Truly! The one thing that I know, is that each and every person will perceive the answer in their own different and unique way. And each time I describe it, I can see their visualization of it, and that is what helps them to want to re-connect to it. It lets people see why God and this message, are my true loves. It is not easy to be a vessel of lessons. To be an example for others. I can only ever be an example, a representative. If they do not follow, that is on their own accord. I am not God himself, nor am I a judge. And I know that not everyone is perfect, and that mistakes are made through learning. I know that it is through forgiveness, understanding and trying again, that help those who misstep, to finally walk their path right. But heaven and it’s view, it is a great motivation to those who seek to carry the light as their torch, and cloak themselves in it as an armor. As I do. Imagine if you will, a beautiful world that is an invisible kingdom in the universe. It’s dark at first. Quiet, still and consuming. You drift and then something pulls you like a vacuum, into a tunnel of light. A Vortex of spiraling energy containing the soul of its guardian. In all, there are four of them for each corner of entry. But you have entered here. At first it looks like nothing but a nebula of eternally stationed gas which is illuminated by the stars that bring it light. As you pass through, you see so many streaks of energy that go past so quickly, with the scenes of time. Suddenly you are one place, and suddenly you are in another. And in that place, it is full of a peace and stillness that only the residents can know. It reminds me of how the way of life for the animals here on earth is. They wander free in the Plains and Meadows still unclaimed by men. They live without a word spoken, all in peace together. They only know of survival and of love. But here in this place in heaven, there’s no need for the survival. Only just the love. The entire world is like a light library full of all of the memories of every being that got to live in some wonderful experience. Those memories can be replayed and re-lived, through those who view them here. Whispy, bright strokes of light come together to paint the images of the beings. And as they move, they leave trails of their timeline behind them. Movement is done and sudden flashes. The movement continues on, as they come to a stop. Everything and everyone there, move so very quickly. And all of the images have great halos of light spreading out like shining suns of colors all around them. It is a beautiful world indeed. The entire plane is built on love. The very architecture of this kingdoms blueprint, is based on true love and cherishing all of the ideas that are brought into reality to become a part of it. It is the love for everything that has ever existed, for each and everything in existence, that was a beautiful Master plan. The heavenly hierarchy exists on many levels, in many different planes. This is merely but one of them. And each level of the hierarchy is made together as a family. Each family of beings, are stationed to rule one ray of light together. Each of them represent one attribute of our Creator entirety. It is an amazing thing, that all that they know, and all that is perceived through unconditional love, is here in it’s perfection. There is no sky. Everything around you is all made of light. You only see in that light. And while this answers only one of the questions, if you really think of it, it gives you the answer to the second. Why did I come here? Why leave such a beautiful place, to come to this one which is so greatly hurting with infliction? Is it not obvious though? Is it not clearly in between the lines? I came here to bring a little part of that, to this world. And then to wake it up in others, so that we can together be a greater whole. Together, heaven on Earth. It does not matter where your soul came from. No matter where we all originated, we are here now together. And if everyone could awaken back to the love, then A remnant of heaven would be here for sure. It would be at least a magnificent replication of it for what it’s worth here on the planet. But what would that be like? It is not the planet it’s self that needs to become heaven like. Because in truth this planet was never meant to look that way. It has its very own design. And it’s creation is magnificent. It is through the consciousness of the life here, that heaven needs to exist. Each and every person would be kind and considerate of each other. And when I say this I mean, that people would not just be looking through their own eyes. They would all see from one another’s perspective. In that, it creates understanding. That creates humbleness. It brings people into a humble state because, they would always put theirselves last, and one another first. That is the way our Creator does it. Even though he is so huge of a force of a being, he still looks after us each and every day. And he watches over all of creation through his family of hierarchy. Working together in the world, people would be more focused on change. Since our creator is perfect, people will strive to be perfect. But that perfection is not exactly what you think it means. Perfection simply means taking things that need to change, and making them better. To be the best that one can be. In their own uniqueness. And that is through the learning and experiencing of things, to see how they can be changed and improved. This world with heaven upon it, would be full of people who are not afraid to be themselves. The uniqueness of how they were created, would be such a beautiful thing that they would not strive to want to mimic another. The only role model that they would have, would be the hierarchy and creators above them. There would be peace because no one would find reasons to argue. Arguments are only created when others find flaw. With heaven upon us, no one would look for the flaws. No one would seek to visibly see what one another was doing wrong, but instead to see only the good within. Here on this earth now, people do not realize that it is not up to them or one another, to see the flaws. It is not up to them, to point them out. And that is because our creator is working through each of them personally, with their teacher whom he had sent. And it will be through their work with their teacher, whether in a year or five years, no matter how long it takes, that whoever was called will make it. The wish, it’s just that they get there, not when. There also would be unity. People would not abandon one another in times of distress or disagreement. The love of the Creator would inspire them to stand together and work it out. What God has brought together, let no man set apart. And his family, those with whom heaven can live through, are brought together by him. It’s a beautiful thing. Harmony, and togetherness. Also, this world would not contain ego. How can there be an identity of self, if we live for the heavens, and for one another? There would be no deception, no self-serving agenda, and there would certainly not be any slander is him going on between the people. You see, it is one thing to speak and vent in a kind and gentle way, with someone that you are close to, about something that you are concerned about. And if it is setting kindness, then it is said in love. However, if one is talking about someone else and saying things that are degrading, then there is some other hidden emotion behind it. We are not here to be judges. We are here to observe, and if what we are observing is not what another person sees, then there’s no harm done in perhaps pointing it out in a loving way. But it should never be in a way that hurts the person. It is true that sometimes the truth can hurt. We live in a world where people blind themselves to the truth. When they are in the wrong they suppress it so much that they do not even see it. There are times when people deny things that they do or are doing. It is a very difficult thing to have to work with. Well heaven tries to spread its effect through everyone it is awakening to, there will always be others who are not quite there yet. Some are so far gone, that they are completely lost to ever understanding it’s concept. However it is for them to learn from the choice that they have made i’m at that deeply into their heart. Because the creator says that it is through the heart first, that we know what a person is truly about. And he says, that most of the people in this world today, have a heart that is only about them themselves. Yes the majority of the world simply only cares about how their life is, and how they are affected by things. They care only about where they are going. But those are the majority of the population, we will continue going in circles and never make it to the final stop. If heaven could awaken in many, our part of the world in which it was contained through us, it would be full of sharing and helping each other out. Everyone’s progress would be different of course, but there would be so much that each and every individual would be contributing that we would all make such a sweeping movement of goodness in the world. Even through the smallest of influences it can succeed. But we definitely would have a lot more goodness, humbleness, understanding, open mindedness, acceptance, selflessness, and unity. And if people could live through those things, it would cause them to take actions in their life, that would be for the better good of not only himself, but for others and important causes in the world. And that is how change is made, and heaven becomes alive. Now while, heaven itself is a whole other place, and far more intense in those traits than any other place could ever be, it still is needed to be experienced here, through people. Because, they will need to know how to adopt those traits if they ever want to go there. You see, The definition of awakening goes beyond gaining more wisdom, and making one’s life better. Awakening definitely include those things. But the whole reason to even gain wisdom and make one’s life better, is for what that person can do with it for others and the world. It is also to become a shining example, for others who do you see them and their new heavenly way of life, to be inspired naturally. It is true that when as a teacher, I began my mission, I had to set the example by at least writing about my life and what I do, as well as putting my teachings and wisdom out there. Each day as a role model, it is important for me to show other people what I take part in in my life. If I didn’t, then no one would know, and no one would be inspired. However, everyone has their own mission. They have their own purpose in life to fit fill. The creator will have chosen each and every individual for some important role to for fill while they are living here. And everybody’s purpose will be different. Why would the creator send in an entire population to do the same exact thing? If everyone was doing it, then the world would be different and there would be no need for them anymore. There are many areas of life and spirit that will need someone to assist in it. Each person who takes on their purpose, will be an example to those around them while they do. For an example those who are meant to be school teachers, they aren’t going to walk into the classroom declaring what they know about heaven or spirituality. But, the way that they conduct themselves, and the way that they handle their students, will definitely set the environment’s atmosphere. It just leaves a tone in the air, that can set them for the rest of their day in a positive direction. And they look to that teacher for their kindness and their understanding with their work. They’re always remember that, and compare it to other people they come to meet later on. I know that many times growing up, I always compare to my teachers throughout the years. There were teachers you just didn’t care, and they did not connect with their students. Then there were teachers who wanted to be so cool that they connected with the students but didn’t care about their education. I only ever had, just one teacher who was both kind, and cared about how everyone excelled in the class. She cared so much and she took out individual time with each of us, to get to know us and help us work on things we struggled with. That helped many of us to gain more education in areas that perhaps without her, we would’ve never thrived in. And it was information that we would all have needed for adult life. Another example, is for those who become purposed in the medical field. Think about that for a moment. The body is your temple. How many people get hurt or sick every day? There I have been many discussions about this particular area of purpose, that I have had with others before. Many people have stated that they go into a doctors office and complained of a few things bothering them. However, the doctor just wanted to see them for the one element, so that they could make them come back again and again, for the others. All in the name of charging the insurance company multiple times. Instead of that one visit. They weren’t caring and they were not reassuring. But those who ended up finding a better place, spoke of how they were far better taken care of. But the nurses talked with them about everything that was bothering them, and the doctor took care of each issue so that they could feel better right away. Imagine the impression that that left on that person. They felt cared for, like they mattered. And that is a very important element in life when it comes to someone’s health. The point I am trying to make here, is that our creator has appointed our doctors, our spiritual leaders, those who will be influential in the educational world, and those who will go on to help animals. So in a way, everyone is a leader somehow, just in their own area of life and it’s needs. There’s so much more to spiritual existence, then just teaching about spirit itself. And it is through how the person does it, and just buy their living that life, that they are the role model. It seems that there is a great difference between those who are doing it for the better good, and those who do it for the attention. People want to be known as being a good person. There are so many people who have changed their lives already for the better good, but perhaps their family does not support them or give them any kind of approval or acknowledgment for it. Some will seek it out through their peers or their friends. And there’s certainly nothing wrong with a little display of how they are playing their part. But there is a great difference between showing a little bit of how their path has change them, and actually advertising their life. Yes it is true that as a spiritual teacher like I said, I have to set that example for others to know how to change and in what ways. To show others what kind of conduct and lifestyle is appropriate for a spiritual person who claims to love God… and that is what leaders do. We are the example. As I have been sent here to help others awaken, I also try to show them the traits and characteristics of which they should be displaying as an awakened individual. And those traits definitely bring a part of heaven within. Our Creator is the King of the World. His family of Creators with him and his beautiful Goddess, all seek to unify humans in the true definition of family, from the heavenly perspective. Living in humbleness and unconditional love, that is the way to the light. My biggest wish is that everyone can know the makers. That is because the atmosphere’s energy also has many wavelengths and vibration that come in and out of that aura. However, I am radiating white energy off of myself and since I am a high vibration in a dense environment, the dense environment pushes back against my aura a little bit since I am not projecting. If I were to project, you would only see all of that light all around me and less of the energy in the air… there are many layers to the aura. They will have many different colors if a persons energy bodies are not balanced. For example, if your thoughts and feelings are not in harmony together, you will have two colors that are different from one another in those layers. But a person who is fully in balance and harmony with them self, will have only one color to their aura. Although, their feelings or thoughts may change. 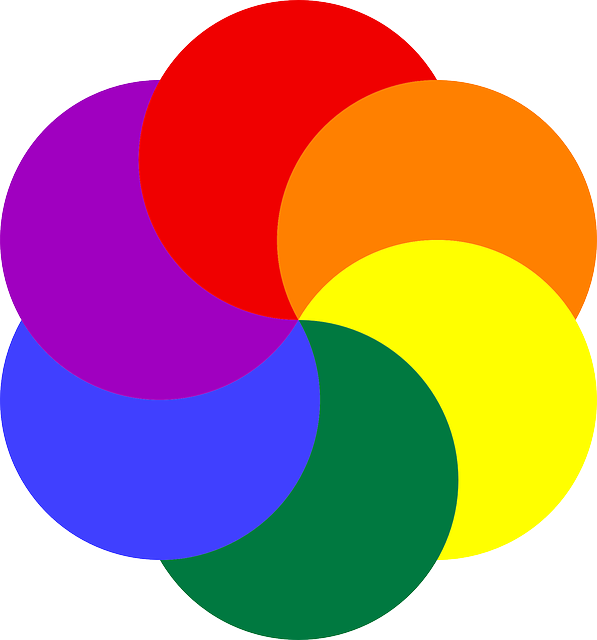 Therefore, a color may pop in and out here or there to represent the different vibration of it. Every thought and every feeling has a vibration. Auras are, the electromagnetic fields of energy surrounding everyone and everything. Your body houses your consciousness. But, that consciousness operates on all dimensions for your experience here. Like waving your hand fast in front of you, you will see many hands, like the photo below. You are not physical. You were just particles of energy. They are a little bit more dense than some of the particles in the air, but with light reflecting off of those dents particles, you are visible as an image here. Everything about you is Great importance. Your thoughts, your feelings, your physical health, and your spiritual nature all vibrate on those particles of earth, to make you a body that lives and experiences earth. Since the energy from the atmosphere and your own self, vibrate in the same space, it is very important to take care of your light body. Energies flow in and out of your spiritual centers. If anyone of those spiritual centers gets clogged, it will then in fact in the area that it is linked to on the physical vehicle. Each spiritual center is linked to one of the systems of the body. Since all of the systems of the body also link together, if you do not keep a healthy white body or physical body to go with it, you can then become very ill, drained, or even depressed. Many people don’t really understand the nature of the light body. We emit energy from our souls/consciousness inside, into the dimensions all around us. There are many dimensions in earth’s atmosphere alone, then expanding way into the cosmos, in many different ways. That is another story though. For now, lets stick with earth. It would be too confusing. So, humans are 3D living in 4D. But, earth itself is 13D. We use all of those dimensions for our consciousness though. Our image projected from the higher self, into the matter on earth, of our bodies. The light goes inward, but to continue on, it must flow. That is why we have toroidal currents in our field. The energy cycles in and out of our spiritual centers/chakras, and then make the light energy that is needed for the higher self to stay connected to the soul within. In reality, the higher self is actually 5 beings working in unison for us to have this here experience. One for spirit, one for emotions, one for mental thoughts, one for the entire memory and program, and one for our illusionary perception of time. That is why we have so many field. The thoughts, feelings, spirit, and original akasha, are all around us, working together as one. Once we come out of this physical body, we do not need anything but the original soul again, which goes off to another experience, or returns to the higher self. Until then, our thoughts, and feelings, and connection to spirit, must come in, and out of the physical body, through the consciousness, and those dimensions. 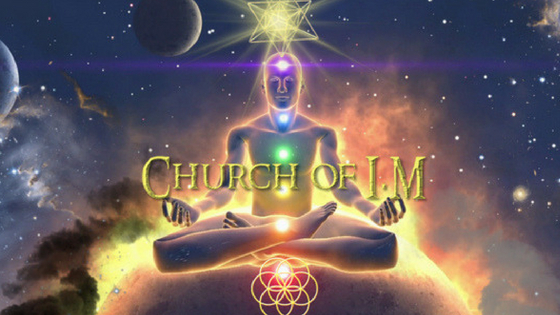 Now, we all know that the rulers of this reality, archons, and their puppets, have sealed some of the “channels or telephone lines” so to speak, and blocked many people’s connections to their higher fields, like the ketheric template, and etherical body, so that people can not obtain higher information from them, and be confined to whatever programming that the rulers want to submit them to. The awakening, is when you are able to see that, and connect back in some way, even slightly. But, we still need our aura and chakras to function, and the energy still effects us. How? Physical Body- This is the energy, of the light that shows your image in this environment. Mental Body- This field cycles in thoughts in and out of the consciousness, from the environment, and other people, as well as your own thought patterns. Emotional Body: This is the area of which your emotions shine through. Everyone is empathic in some way, but those who are highly sensitive, may be able to feel the emotions of other spirit bodies in this dimensional layer in others too. Astral Body- The astral layer, is the field of which 4th dimensional time exists for your consciousness, while you are in it or need to use it. Old thoughts, memories, the subconscious spirit, back up memory drive. Celestial Body: This is your connection to the cosmos as it is still connected to the higher self. Etheric Template: The etheric template is the field that stores your higher perceptions. The experiences of other experiences you have been through, other than this one. Ketheric Template- The ketheric template is the original program, the true outline to the soul, that holds all of the layers together for the experience of this reality. It s your soul’s grid, and it connects to the cosmos, elohim, the environment you are in, other people in the experience, and your higher self. A small personal akasha around you, that once you leave here, it stretches out and expands and reconnects to the oversoul, and into the rest of the universal akasha. Red Aura Types- I am classifying this red aura people, not as a just a color, but as a special aura type.Many think it is a low vibration, but in truth while it is, it still have advantages, others do not. People with this aura are extremely intuitive. Intuition comes based on observation, and predictions resulted from those observations. Red auras are a bit slower, so they have a wonderful ability to perceive things. They are also very low in vibration, that they often absorb the energies of other auras. The natural psychic vampire! Due to that, they pick up on people’s thoughts, and feelings, by attracting the persons energy to them. Very creative, and attracted to earth and nature, they are also very passionate about any endeavor they choose. Red symbolizes anger in a person. Wrath, and the ability to hurt others because of that inner anger. This is more than likely a person who works with a lot of lower vibrational entities but does not realize it. These are people who carry a lot of inner aggression and pain. Indigo Auras- Indigo is a fast vibration. Which is why they are classified with ADHD, but in fact, it is juts the highly energetic nature that they have, as well as being extremely intuitive. They see things beyond this world, as their energy is expanded well above the normal perception. That is why schools, and boring routine things in society never benefit these aura types. Very creative, imaginative, and fantastical, indigos are the next step up in the spiritual evolution. Some are messengers of the divine rays, but soul types can not be classified by aura color. That vibration could come from anywhere. Ancient wisdom, understanding, truth, and psychic power, in some way, Indigos carry the vibration of the celestials. Crystal Auras: Crystal auras, are really just indigos who have grown even more so in their perception and consciousness, that they raised their frequency to Ultra Violet. This will appear as white Because in this environment ultraviolet is invisible to the naked eye. Therefore the energies would just somehow reflect off of the person in their purity in their aura would be white. But, ultra violet is a wave that is so quick and hard to see, that is why they liken it to a crystal, as it is transparent and invisible to some, while to some crystals absorb and hold white light. These are divine transcended beings, who go above the dimensional planes in their consciousness. Someone with a crystal aura, will have all psychic power, and abilities at this rate, and have no more questions about life here. The phase of enlightenment, as well as a perspective of consciousness, that they can deal and cope with any situation, no longer feeling emotions like frustration, anger, hurt, confusion, depression, low self esteem, because their frequency surpasses all of those low emotions. Rainbow Aura- Many say these are souls not having a previous incarnation. And they say it is rare. Both misconceptions. Rainbow aura types, are simply people whose soul operates on all rays of light. They have many thoughts and feelings in every area. They are receptive, and giver’s of any vibration of light that others may need. They are healers in the way that their pressence, is soothing just being around others. They have much wisdom from the Universe, in the vibrations themselves. They do feel anxiety and jumpy though, as sometimes all of that energy and difference in vibrations, can be overwhelming. But I have met many with this aura type, who had previous lifetimes. And considering how many I have met, I would not call this too rare. But, there isn’t a whole world full of them or anything. Nature loving in all ways, kind, empathic, and sympathetic. They are the anchors of light for all types with their rays. They have the traist of each color. Many rainbows have no interest in social endeavors, as they are in awe of the creation all around them, but when around others, they are the nurturers. White or Crystal- Gold Auras- These auras are the divine energies that have come to earth with a message. They carry the wisdom and abilities of Source, and the angels. Magical, loving, innocent, pure, honest, sincere, and seeing only the good in others even when the truth of their flaws are obvious. They have a well of wisdom in them, as well as having insight, guidance, and power of the realms. They show a way of purity and innocence. Would be very hard for a person to be able to tell the difference as to whether a person was a white or a crystal aura. There is only one thing that can determine this. The rest of the aura has to be transparent and will only go around a certain portion of the persons body. Since they are crystal and it is not visible, a person will only be able to absorb that light and continuously transmutate it into something pure. That is what a crystal aura does. They take all energies around them and then turn it into something higher and more pure. They are actually healers. A person with a white aura will just have a white cloud around them. And it will not be as clear or transparent itself. A person with a gold aura is somebody that has a pure heart. This applies with Crystal and white auras too but a golden aura shows that they have a connection to the divine through their heart. Everything that they do is because of their love for others, and for the heavens. Many ascended masters will have gold because gold is the color of the divinity. Red: Reds in a positive way, are passionate, creative, observant, sexual, motivated, and strong. They are people with strength within, and they resonate with the element of fire. They are driven and motivated but quickly burn out. They are the strong personalities that make their points across directly, and can sometimes be so direct that it seems like arrogance, when indeed they do not mean to be that way. Confident, and direct. Read is the lowest vibration. There is no getting around it. People with this color in their aura are angry inside. Whether they reveal that to other people or not, they are carrying aggression. They have a lot to work out within themselves. Red is the color of wrath. These will be individuals that if you get them mad, they will take it all out on you in some way or the other. Orange: Oranges are optimistic, and energetic. They are good hearted, and kind, and their energy is warm, friendly, and inviting. They are generous, and the type of people who love to please others. Also a fire color, but since it is lessened in severity than red, they have this warmth in a more gentle way. They are friendly, and understanding, and are go-getters in life. They are very nurturing, but they can get hurt very easily which turns into the anger that is underneath of this color. Although not wrathful like the color red, people with an orange aura tend to just hold in their emotions and they end up getting a lot of clogs in their spiritual centers. Yellow: Cheerful, innovative,creative, intelligent. This color corresponds to air, and has a mellow effect which is why they came up with the saying “mellow yellow”. They bring a light to the room, and regenerate their moods on their own by inspirational thoughts. They have the greatest ideas and best advice. Underneath of the surface of this color, yellow energies are often very jealous people who are struggling with their ego. Having more yellow or any color in the aura determines that a person has an over active spiritual center called a chakra. There are many she needs to every color, but yellow definitely signifies that for the most part this is an individual who is trying to stay optimistic and social, but I can have a tendency to allow their self to read into things in a way that they get easily offended because they may be harboring some jealousy and The insecurities that often drive jealousy. Green: Nature lovers, and healers, green auras do well with attracting abundance. They are loyal, dependable, and good at planning and organizing things. Sometimes it can show a love of wealth, But for the most part it shows their connection to earth, and their down to earth personalities. They are very stable and balanced people. In other variations of the color green, it can show greediness and if it is a more yellow green, it will symbolize a deep form of jealousy. But green energies are people who often try to do their best to take care of things that are living. Animals, people, and earth. Blue: Good communicators, blues are logical, technical, methodical, organized, smart, and very intellectual. They sometimes get lost in their thoughts, and are usually the ones who use their mind over their feelings. They write, sing, and get into art, poetry, and anything that takes thoughts, and the thoughts releasing their feelings, without showing them physically. In different variations of bullying, it can be an indication of depression, carrying a lot of inner pain and resentment or holding a lot of their feelings in. Some colors can also indicate that they have a secret. Blue is a wonderful color though and a balanced shade, because it shows open-mindedness and harmony with others. Purple: Purple auras are the mystical, spiritual, and people who like anything that has to do with the paranormal, and metaphysical. They are intelligent as a mix of blue, and they have a great passion for it. The vibration is one, of truth seeking and exploration of the self, as well as outer worlds. Colors at different levels tell alot too. The murkier, and lessened amount of the shade reveals the level of the traits. For example, light dull green, shows vanity and selfishness. The brighter the color, that will show you, that it is amplified. A bright breen strong aura will show someone intense about their loyalty and dependability. But the truth is, if there are different colors in the aura, it shows that the person has a lot of different things going on in regards to the elemental bodies of their spirit. The mind, body, spirit, and emotions all have to work together as one. That is why a healthy or it will be one that is one color. Although it will not stay that way due to other thoughts and feelings that pop in, for the most part it should always be of one balanced vibration. Anything with dark spots in it reveals attachments to the aura, as well as negative thought forms and patterns, and maybe even some spiritual interference. Amounts of white light in the aura are also important, because it shows you how much of the good qualities of those traits comes from a sincere source within the consciousness. Black Auras: This is not good. This is a definitive sign that this is either an incarnated dark soul, someone who has terrible karma, dark or hurtful thoughts, or someone who has lost themself somehow in their lifetimes. Grey: Grey in the aura is a sign of depression or illness. Anyone who has this coloring in their aura, is suffering in some way. Sulfur: This is also a sign of an incarnated lower vibrational being, or someone who has an entity controlling them. Implants can also appear in the aura. These come in many forms. Fractal implants are implants made of lower vibrational energy, that are placed int he energy fields of one or more layers. There are also etheric implants of higher density that can be used to protect, such as fractal cages. You could also find that an aura can at times have smaller implants as tiny as a pinpoint that are government issued,, and placed in the aura, as a gps or tracker. These are so tiny, some of even the best psychics can not see them. 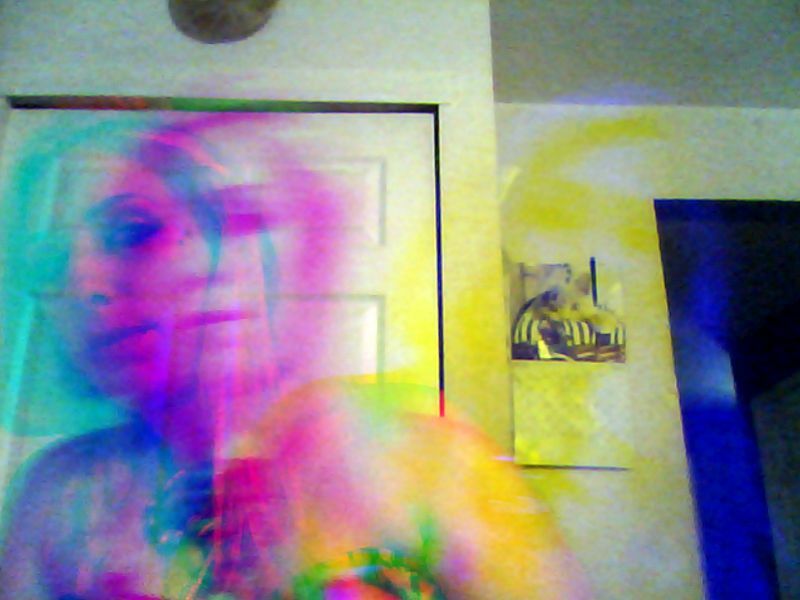 You will even see orbs in the aura, of all colors. If they are black, they are small lower dimensional portals for negative energies to pass through. Colored orbs can be anything such as fae, elementals, guides, angelics, animal guides, deceased loved ones, and ancestors. It all depends on the color, and size. They say that you can even see the face of somebody’s twin flame in their energy body. This is true. I have seen it many times but not for all people, when doing my aura readings. The light body vehicle is basically what you are walking around with every day. Your body is made out of particles of energy, and that energy is using it’s light, on the body, as a vehicle. However, you can detach from the dense particles that make you a part of the earth and have a total spiritual experience beyond that. This is something that I would love to teach further but not here. Many will depict the light body vehicle as being a star tetrahedron. That is also a misconception. It is more symbolic in its major than it is the actual truth. The symbolism of it represents that a person in their elements, of earth, air, fire, ether, and water will have enough balance to raise their vibration pretty high, that he can then access to the spiritual vehicle which is the soul and it travels. Since then is often depicted as the Vitruvius man, or the five pointed star, this will represent the five points of the star used in the symbolism. However, they also use triangles because it represents mind, body, and spirit. The upside down triangle in the Star tetrahedron represents the fall of man’s mind, body and spirit. So it’s basically just symbolic of man’s elements “as above, and so below”. But we know that man’s use of the elements here, has done nothing but dominate him to his injury and lead him to be a controlled species. So if you think about it the up right triangle represents of those who are above controlled man, while the rest of the triangle that is in reverse represents the controlled man himself. The Star tetrahedron is a symbol I have the elite and they are superior already above average man. This is why it was adopted by a lot of cultures. There are several other meanings to this very complex symbol. I could go on forever. But in this regard where they have used it as well, for the spirit body vehicle, it just doesn’t simply really apply. I will go more into this in my courses. When somebody can access the spirit alone outside of that body which is the souls vehicle, they then can have a great deal of power because they can travel beyond. The body is the boundary and the word Metatron is symbolic for boundaries which isn’t true meaning. That is also why they use Metatron’s cube when referencing the spirit body vehicle. It represents at the physical body is the vehicle of the soul and the boundary that keeps the soul from accessing all spiritual things. Nevertheless it is still very important to keep your spirit body clean. The spiritual centers that I have mentioned frequently throughout this article are also called Chakras. Man has a different vibration to each one of those spiritual centers. This was not meant to be. This shows that the persons energy bodies are all at different vibration because each spiritual center things to another layer of the aura. This shows disharmony between the energy bodies if they are lower or higher than one another. This is why I offer a spiritual center or chakra expansion service. This is to help equalize all of the spiritual centers and then help people to lift their vibration naturally. They are going to feel more balanced in their thoughts, feelings, and spiritual nature as well. With a higher vibration, they have more of an ability to access their spiritual abilities too. If all of their spiritual centers and aura layers are all at a different vibrations, then that person is going to experience a lot of things that cause imbalance. Different thoughts and feelings that will conflict with one another, and also different levels of energy physically, throughout the day. They have to be aligned perfectly. 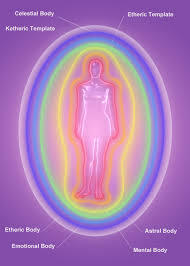 Many people believe that you can get in or reading by a special camera that can take your picture live while sitting in front of it and show the colors of your aura. This is false. There are many energies in the environment including heat signatures. Any photography would pick up on those energies making the reading in consistent and falls. The true reading of the aura is done by the psychic and using also a very regular photograph where the aura actually be highlighted for the person to see. This way, a professional can show the person where it is heat, and where it is atmospheric… in comparison to where their actual real energies are. And since many things fly right on into the energy bodies, many people doing photography for the aura will often interpret different colors inside of it as being a part of the persons energy body, when in fact it very well may not be at all. It could have been something coming into the aura that the person was observing. They see the color, and then they tell the person that it’s a part of them, when it’s not. If you want to have an accurate or reading, I do them on my website. They are quite fascinating and give you quite a level of death. I hope this article has helped provide you with the correct insight in regards to the aura. This subject can go on and on in fact, this is just one step in a whole staircase of information. The link to this blog is about to change. If you are a reader, please look for the update. Thank you.